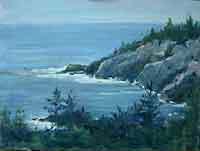 Having grown up in a family of oil painters who spent summers in Maine, Karen continues this tradition by returning to Maine every year. 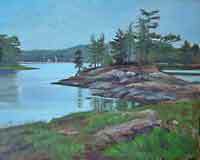 She has painted landscapes and coastal scenes en plein air for over 15 years, accumulating knowledge of nature for work in her studio as well. 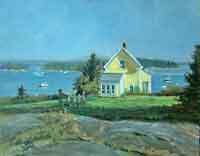 A Connecticut resident, Karen received her formal education at the Lyme Academy of Fine Arts and has participated in workshops with Mike Graves, Chris Magadini, and David Lussier. 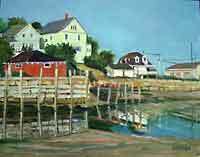 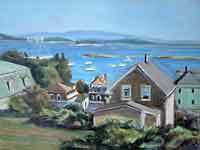 An Elected Artist member of Lyme Art Association and Kent Art Association, she is also a member of Connecticut Plein Air Painters Society, Deer Isle Artists Association, Housatonic Art League, Society of Creative Artists of Newtown and Washington Art Association.